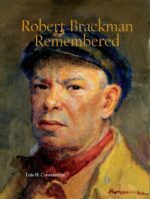 Robert Brackman touched the lives of countless people through his art and teaching. His legacy still lives, more than three decades after his death, perpetuated by the enthusiasm of former students who remain passionate about how and what they learned from this master teacher. His love of teaching was unwavering, sometimes as a strong critic, but always with a great eagerness for the student to understand. Brackman arrived in the U.S. as an immigrant from Russia, suffering many hardships as a child. Today his art can be found in museums and collections throughout the world. In this book, Lois H. Constantine tells the story of her relationship with Brackman that started as a student and teacher and evolved into an inspiring friendship.